HOLLYN has released her debut LP album, 'One-Way Conversations'. This album is the follow-up to her acclaimed self-titled EP that produced the No. 1 single "Alone (feat. TRU)" and the Top 5 single "Nothin' On You." Read More HOLLYN has released her debut LP album, 'One-Way Conversations'. This album is the follow-up to her acclaimed self-titled EP that produced the No. 1 single "Alone (feat. TRU)" and the Top 5 single "Nothin' On You." This 20-year-old Ohio native has had a whirlwind start since the release of her debut EP. She began her career with a rigorous 40-plus date nationwide tour, followed by a handful of shows overseas supporting her mentor, producer and Gotee Records' label head TobyMac. She spent last summer on her first-ever solo run on the West Coast while working and processing the direction for her debut LP. In the fall she was nominated for the GMA Dove Award New Artist of the Year category and had her award show performance debut. She was also named Air1's No. 1 Artist of the Year for 2016. 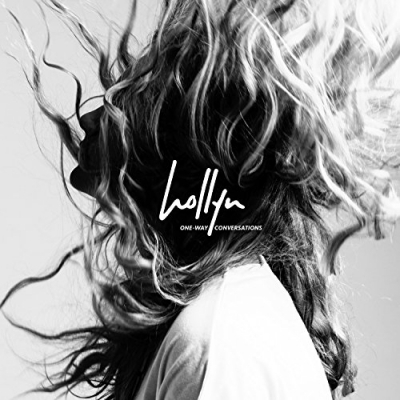 And it is that personal reflecting that has led Hollyn to a deeply personal and one-of-a-kind debut full-length album. With co-writers/producers Bryan Fowler, Dave Lubben, Wit & 42 North, Cole Walowac of Capital Kings and Toby McKeehan helping bring her thoughts to life, these ten songs culminate into an earnest snapshot of Hollyn being herself: a young woman working out life with God, relationships, artistry, and career. My first reflection of this album was that this is a very good modern pop record. It has great summer hits, catchy beats and nice melodies, everything you expect from a good modern pop album. Some of the best tracks include the song 'Love With Your Life', which is a fantastic upbeat track, 'Obvious?' which has this great backing track that is really enjoyable, and the song 'All My Love' with its chilled dance beat and catchy chorus. The kind of catchy that gets stuck in your head all day! If you think you have guessed how the album is going to sound then a track like 'In Awe' pops along. This is a tender track that gives the softer yet warm vocals of Hollyn space to come to the forefront. This is another standout track for sure. Don't panic, the summer feeling tracks soon bounce back with 'Party In The Hills'. If you are looking for a feel good summer pop album then you cant go much wrong with this album 'One Way Conversations'. If I had to compare Hollyn to another vocalist I would say she sounds like Ellie Goulding. So if you are a fan of her music then you will love Hollyn's new record.